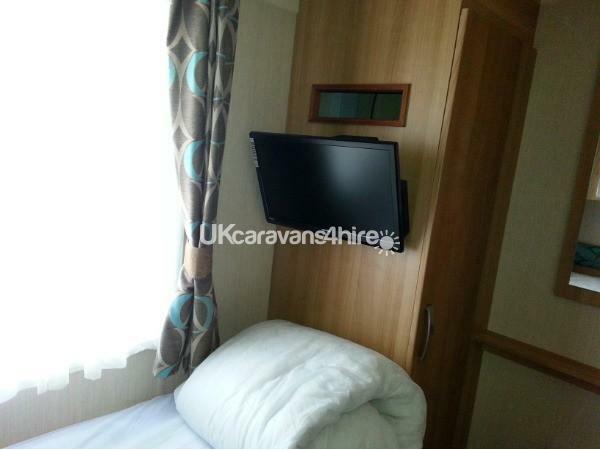 Additional Info: We have converted the two twin rooms into single berth, both have a bedside cabinet, and a wall hung lcd tv. Main bedroom also has lcd tv. When you arrive no need to panic we do supply a couple of toilet roll`s, hand soaps, washing up liquid etc. Our static Holiday Home is a SWIFT BORDEAUX. 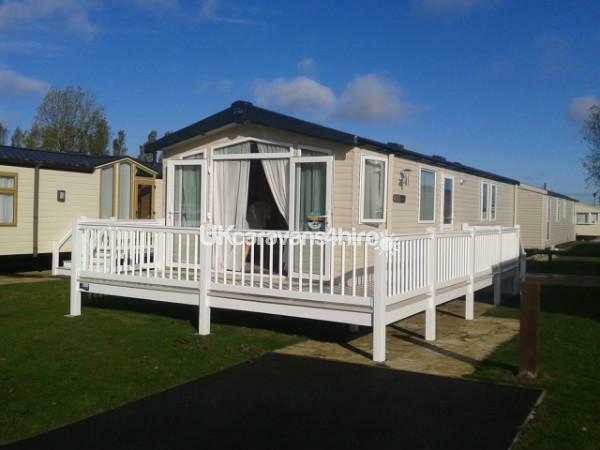 Our caravan is located on the Haven Caister Holiday Park. 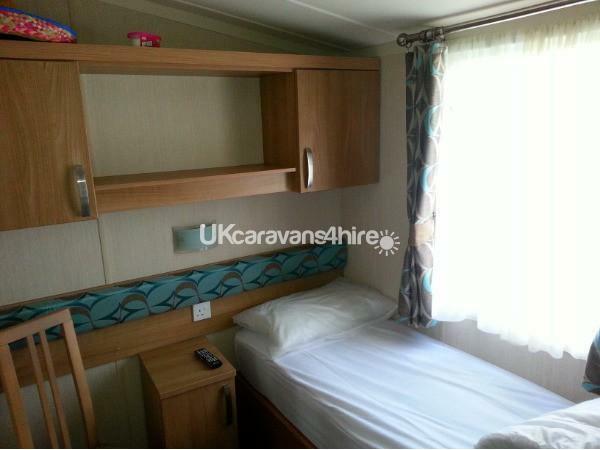 Caravan Facilities: Our caravan feels like a proper home with high spec. fixtures and fittings. 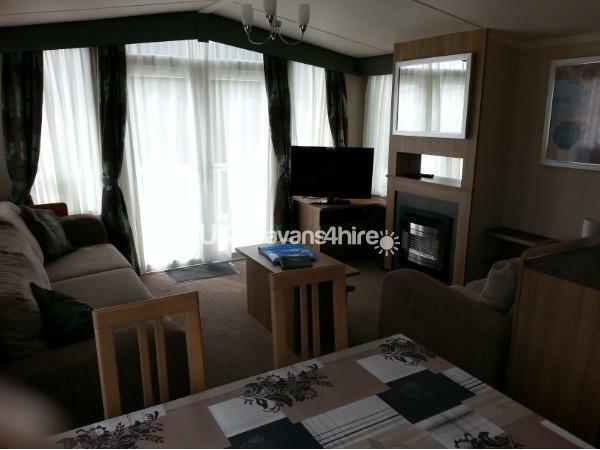 It comprises of a Lounge with French patio doors at one end opening onto a 6ft veranda south facing and your not looking into another caravan, Contemporary free-standing sofas with scatter cushions, LCD TV, DVD player, dining and kitchen area seats 4. A mixed selection of board games DVDs etc left at van by ourselves. The master bedroom has a full-size double bed with proper matress, bed side cabinets, wardrobe, storage shelves, and dressing table with mirror and over bed storage cupboards 32" LCD TV. En-suite WC. The two single rooms have single beds with proper mattress' bed side cabinets, wardrobes, over bed storage cupboards and mirrors and a 22" LCD TV. 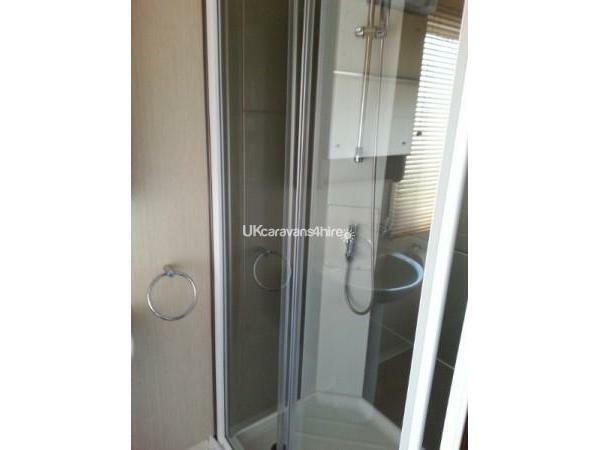 The bathroom has a full-size walk in shower with sink, toilet and storage unit. All gas, electric and water rates are included in the price of your holiday, there is a full inventory of plates, cups and glasses, cutlery. 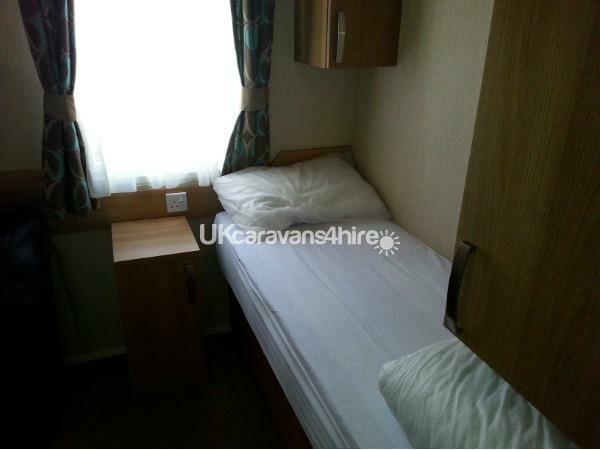 All pillows and quilts are supplied, you will need to bring your own bed linen sheets pillow cases duvet covers and towels and other essentials. We regret to say that smoking is not allowed. If smoking is found the damage deposit will not be returned this is to cover the extra cost of cleaning. Sorry no pets. Bookings are for sat-sat only. Caravan can be occupied at 3pm onwards. Caravan to be vacated by 10am sharply. Firstly, to anyone thinking of visiting Haven Caister...do it! We've been to Seashore and Devon Cliffs which both were great but at Caister you get a much wider expanse and so you never feel claustrophobic. Also with the extra space means bigger play areas for the kids and the Beach within a very short (and flat so no hills) distance. 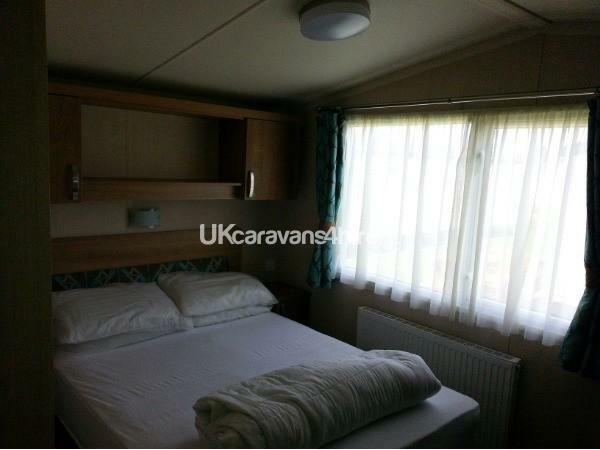 Bob was fantastic in emailing us, posting out details etc and the Caravan itself is wonderful with all the amenities you could wish for and decked out stylishly. Just as important though is the Caravan's location as it's located within just round the corner from a smallish park area and a Bingo Hall and eatery, as well as the Seagulls Club. So basically you get the best of both worlds. You get to stay at a wonderful Haven site with all the attractions it has to offer, but you also get this x2 because there's additional play areas relatively close by - but also secluded too if that makes sense and the Neighbours were lovely! 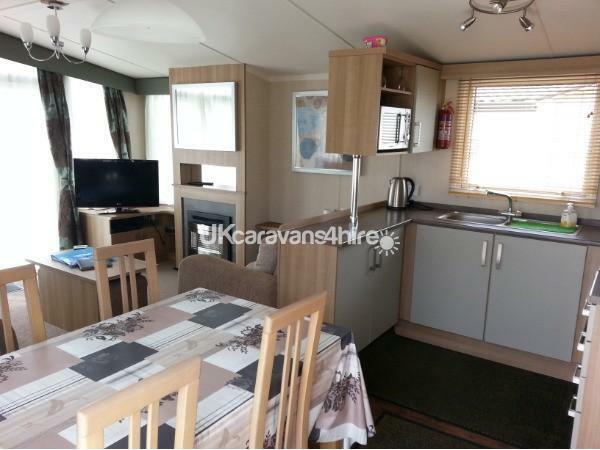 Thank you Steve for a great review about Caister and our Caravan, it sounds so much better coming from a Guest. Im so glad you all enjoyed your stay. Thank you for your review Kirsty, I'm particularly glad you enjoyed the comfortable mattresses. 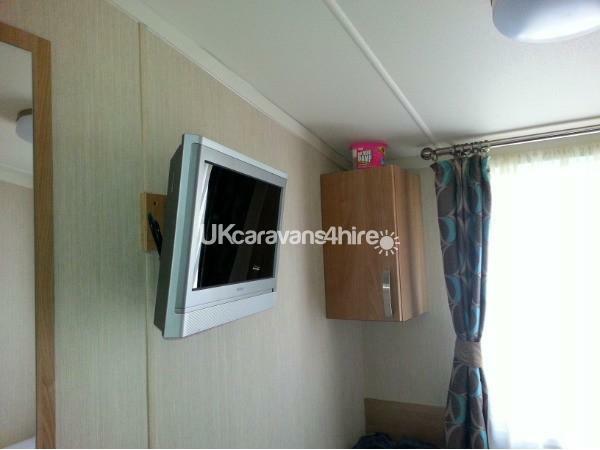 Wonderful caravan, the extra touches were very much appreciated. 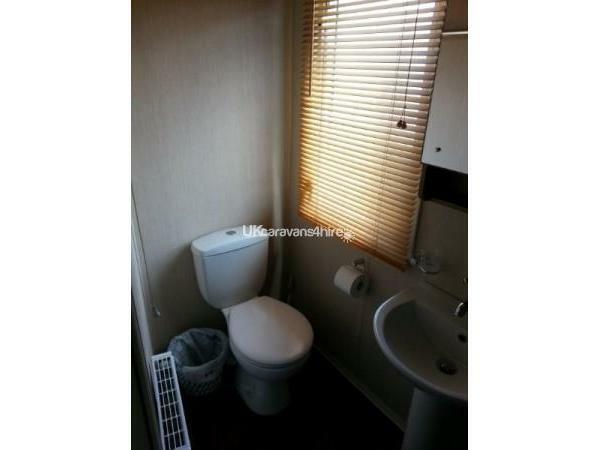 The owners were very friendly and communication was very good throughout. 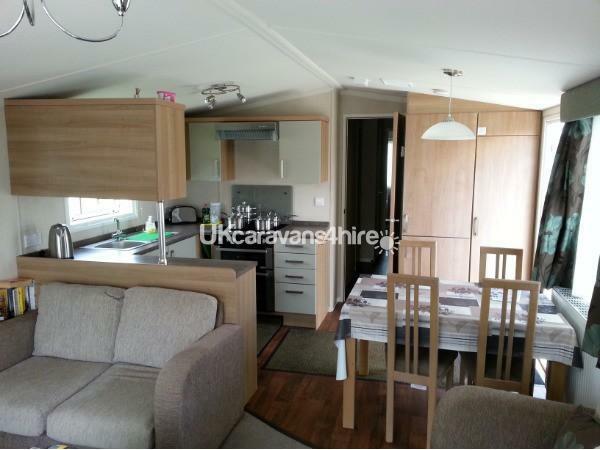 Caravan was well located, short walk to all areas and benefits from being quite in the evenings. Would most defiantly recommend. Thank you for your reveiw Nikki i am glad you enjoyed your stay at Caister. 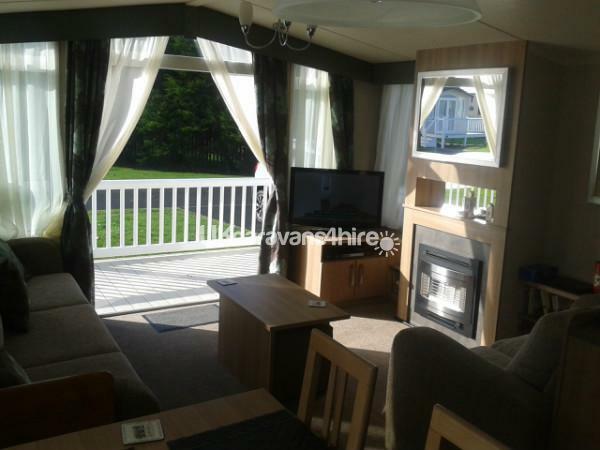 Lovely caravan, great site,very close to beach.excelent communication from owners,very professional from booking to receiving deposits.would definitely recommend to family and friends. Hope to go back again. Thank you for your feedback Mark, we do our best to make sure everyone has a good stay. Thank you for your feedback Doreen i am glad you enyoyed your stay at my Caravan.